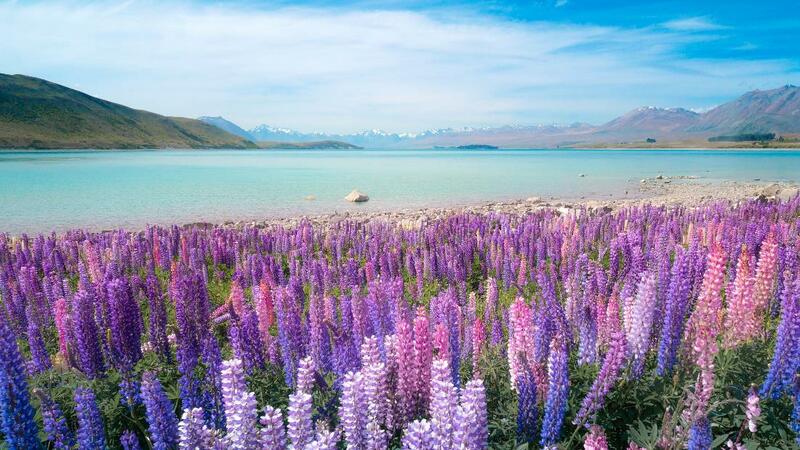 Lake tekapo is located in South Island, Cantebury region, with 83 km square wide. Most probably this is the most stunning lake i ever seen. 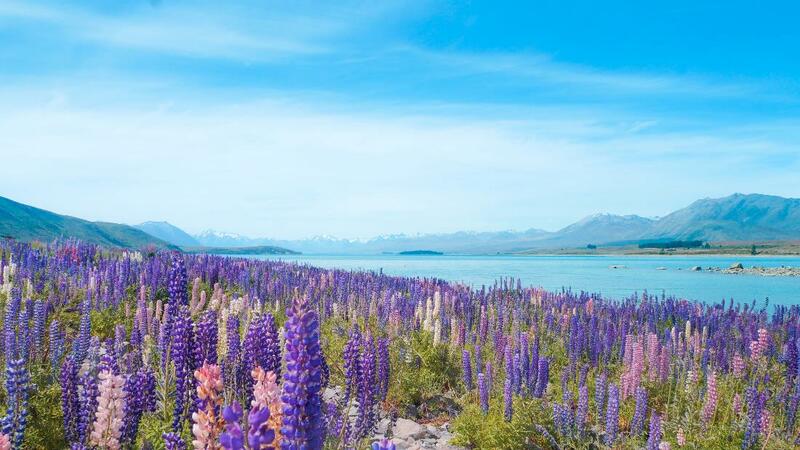 You can expect the blue coloured lake, the snowy cape mountain and million Russell Lupin flowers. The place is part of Aoraki Mackenzie International Dark Sky Reserve so it is good for stargazing. 1:00 - 11:00 : having a rest in the Airport because of fever! i planned for the Christchurch city tour in early morning actually. Today was not my luck. 11:00 - 13:00 : Walking and waiting Bus to Tekapo Lake. The bus stop located outside airport around 10 minutes walking distance. 15:00 - 18:00 : Checking in Hostel then continuing to go around the lake and visit the church. Most of the time i used for enjoying the scenery and photography. 3 Hours duration was more than enough. Almost all buses will make a stop in Tekapo Lake. bus usually operate from Christchurch to Queenstown. You can count Intercity and Naked bus. Those provider usually have 1 or 2 departure. Don't forget to book in advance especially during peak season. Another bus provider connected Tekapo and Mt Cook is Cook Connection. You can try Hitchhiking also. A australian father and his daughter once asked me to join their car to Mount Cook when we had some conversation in the kitchen. There is no public transportation operated in the city. No worries, Tekapo is just small city. You can just walk to city center and some tourist post. Most accommodation is located in city center and beside the lake. Tourist may count their private vehicle if they want to go to tourist spot faraway from the city center or walking for several hours also worth it. I stayed in YHA because it is nearer to the city center. The receptionist was very helpful and good facilities like clean kitchen, free wifi and socialize room. I paid 33 NZD for mixed dormitory room. I was arrived at midnight in Christchurch airport and too bad I got a fever. It might be because of cold weather. Summer in New Zealand considered very cold for me. Even, I cancelled my trip to Christchurch town in the morning . I overslept until 11 AM! Stayed in airport was a must for me because there was no bus operate during midnight. How about taxi? not even included in my budget. No way for me to walk around during cold weather at midnight. I had searched about sleeping in Chrischurch Airport. Most of the reviewers said that it was almost impossible to sleep inside the Airport. Some said you had to go to the 5 NZD lounge because officer will wake you up. it is forbidden to bring any product containing honey. I recommend you to ask the officer checking your belonging if you are not sure rather than you get caught. Did I experience that? Of course not. After i went out the immigration, I saw a lot of people sleeping on the stainless steel chairs available in Arrival hall. It was not comfortable so i went up to departure hall looking for better option. Gotcha! I found a lot of proper chair for sleeping up there. The Chairs was used public for eating but the stall had not opened yet so never mind. When the stall opened, I was still sleeping there until 11 am. I didn't care! Lol. Maybe, I didn't do many thing there since I only stayed one night. Tekapo was a place that made me feel very relaxing. 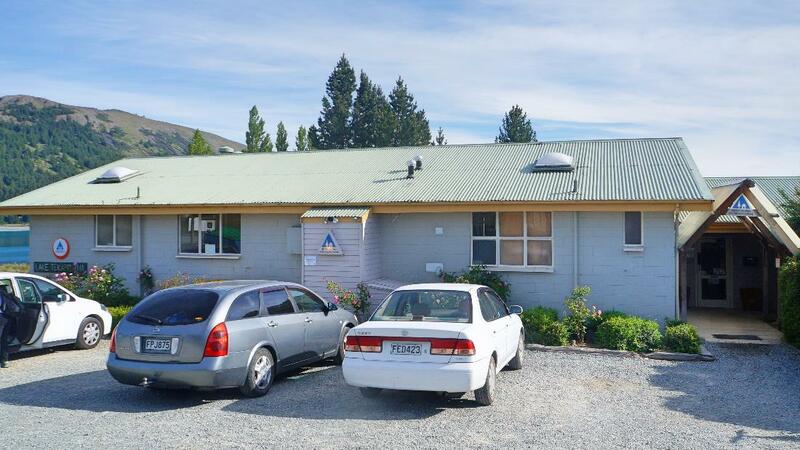 The most important things to do in Tekapo is enjoying the scenery. The scenery is more than beautiful. So what did I do in Tekapo actually? 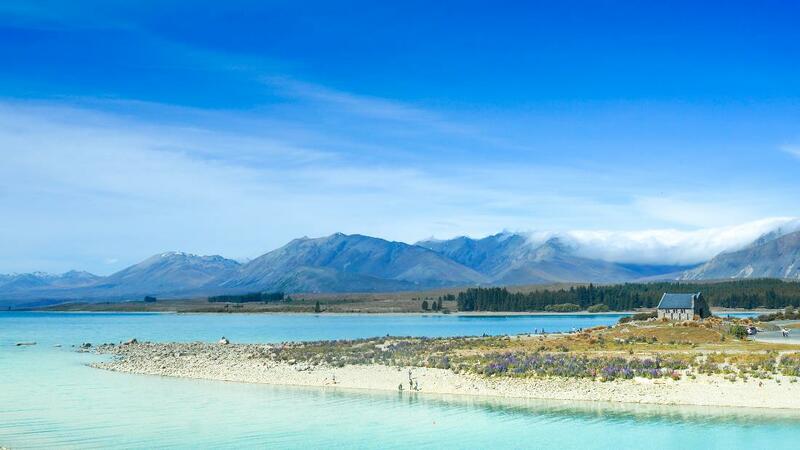 The simplest and cheapest things to do in Tekapo lake is walking around the lake. It is free but the feeling is uncounted. The lake was walking distance from my hostel. The blue coloured lake, the snowy cape mountain and million Russell Lupin flowers filled my eyes. It looked like seeing my crush that make me forgeting many thing. I even didn't care that I had a fever. Somehow, i felt that i got my medicine. Luckily, I visited during russell Lupin season so it made the scenery more beautiful. Russell Lupin is blooming start from mid November until early January. The best is early December I think.The flower can be grown until 1.5 m tall. The colour is one of its attraction However, the Russell Lupin is not native flower. It was first introduced in the 1950's by Connie scott and then the seed was scattered along the exposed sides of the highway. Just followed the shore path, it brought me to the Church of the good Shepherd. It was just 15 minutes walking from YHA hostel The Church built in 1935 is an icon of the city. Took a photograph of the church with the lake tekapo as a background is a must do! It is no arguably beautiful. Lake Tekapo is part of Aoraki Mackenzie International Dark Sky Reserve. 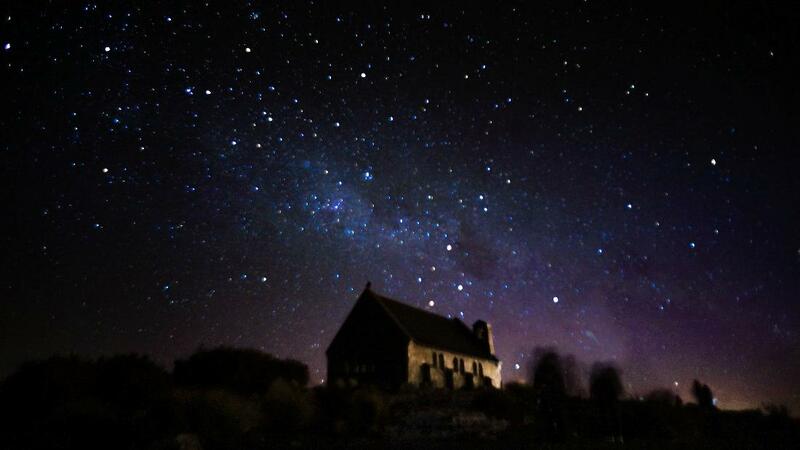 It means Tekapo is one of the place for stargazing in the world. You cando stargizing just beside the lake, church of the good Shepherd or taking a tour to the observatory. I didn't want to pay for the stargazing because it considered expensive for me. I re-visited the Church of the good Shepherd again at midnight like what everyone did. Night time in December is at 9 PM (December has the longest daylight in New Zealand). I preferred to had a sleep first then woke up at midnight. I didn't know what the exact time to get the clear sky so I went there just after midnight. The temperature was very cold but I didn't care. I went through the darkness because the city didn't have proper street light. Arrived in the church, damn! the stars was million dollar scenery! You will get better sight for stargazing when there is no Light pollution either from car headlamp or torch. Making a new friends is must for solo traveller. You don't want your friends thinks that you are lonely, right? I got introduced with a father and his daughter, Gino and Lisa, unintentionally. They were Australian. Gino was a civil engineer and Lisa just finished her high school. It was the second time for Lisa visiting New Zealand. I was cooking for my lunch and then saw them did the same. I only asked what they cooked. Suddenly he asked me to join with their car. Since I had same destination with them so I accepted their offer. Horaay...free transportation!